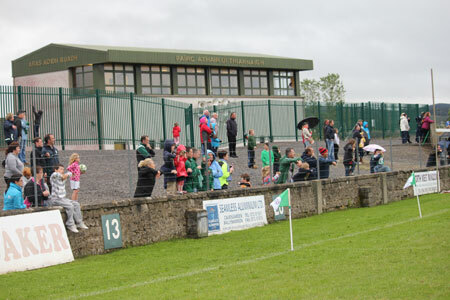 A big crowd arrived at Father Tierney Park for a game that promised to be packed with excitement, a promise it met to the full. 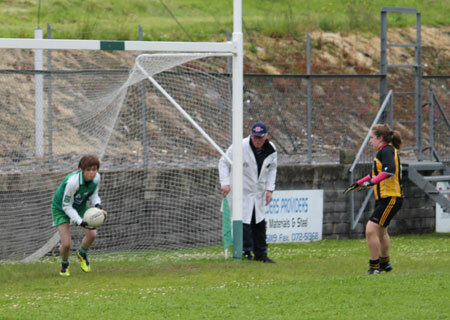 John McGlanaghy took centre stage and threw in the ball to let the battle begin. Bundoran started the brighter for the first few minutes but failed to capitalise on their possession up front. 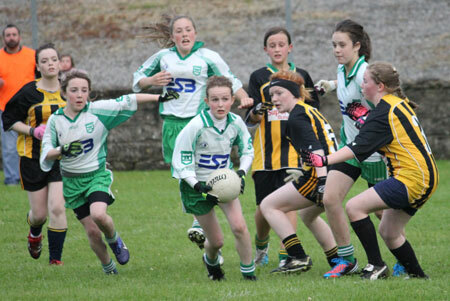 Credit must go to the Ballyshannon girls who defended brilliantly to make life difficult for the Bundoran forwards. Lorna Matthews, Shelly Loughlin, and Louise Mahon cleared away all danger. 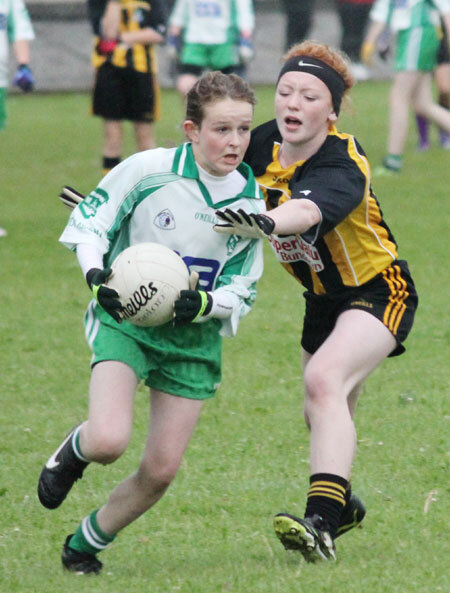 Aodh Ruadh's first score of the game was a fantastic goal from midfielder Orlaith Gillespie who embarked on a mazy solo run with only one thing on her mind and composed herself to hit the back of the net. 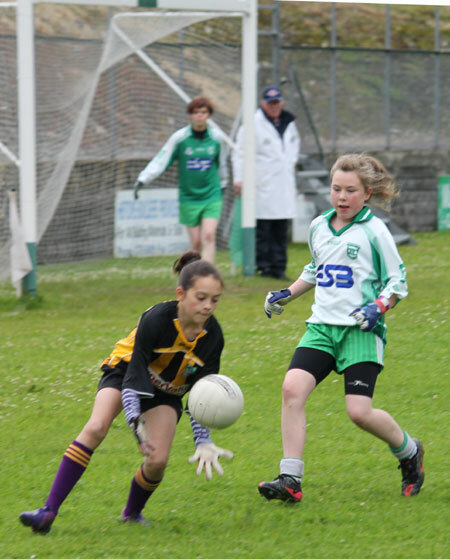 Meabh Rooney and Orlaith Gillespie worked hard and kept getting the ball in and although Rebecca Gillespie added a second fine goal the Ballyshannon girls could have been further ahead having also hit a few wides. 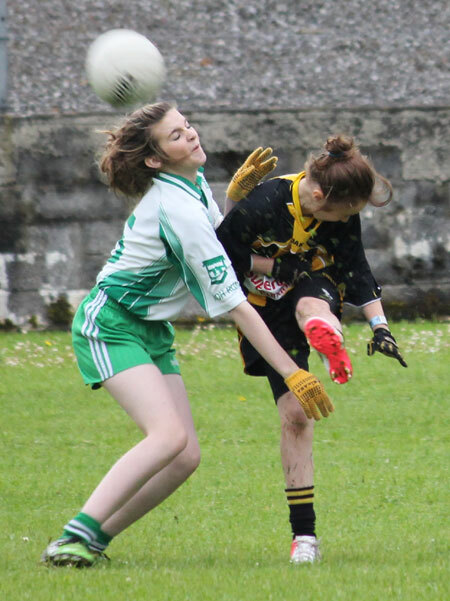 Bundoran got a goal back before the lively Mary Flora Scott added a third goal for Ballyshannon with a fantastic assist from Tara Duffy who also worked her socks off throughout. This goal left the score 3-0 to 1-0 at half-time. Indeed it should be noted that without two outstanding saves from the ever reliable Kelsie Warren the teams would have been level. The second half started in a similar fashion to the first with the only difference this time that Bundoran took their chances and very quickly had scored 1-1 inside seven minutes to leave it 3-00 to 2-01. 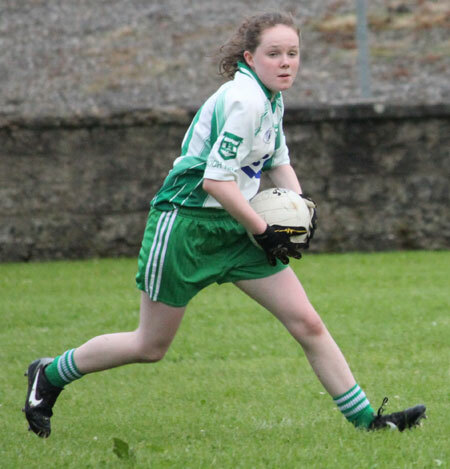 Aodh Ruadh needed a quick response to settle things and it came in the form of a point from �ine Gillespie who got a well deserved score having played a superb first half. 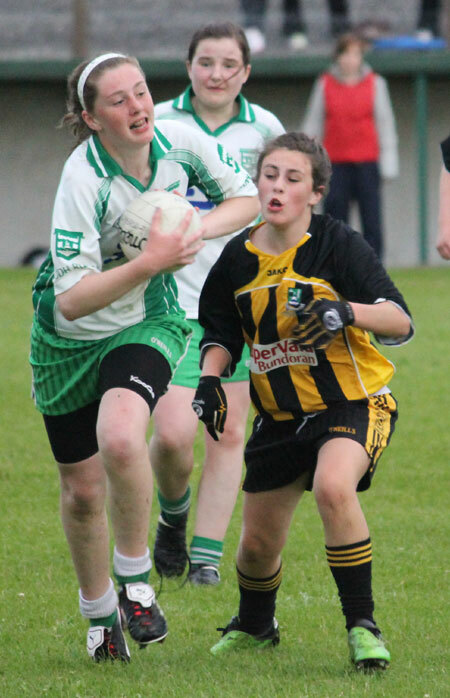 Aimee McCafferty and Dearbhaille O'Moore worked endlessly to keep the pressure in Bundoran's half. 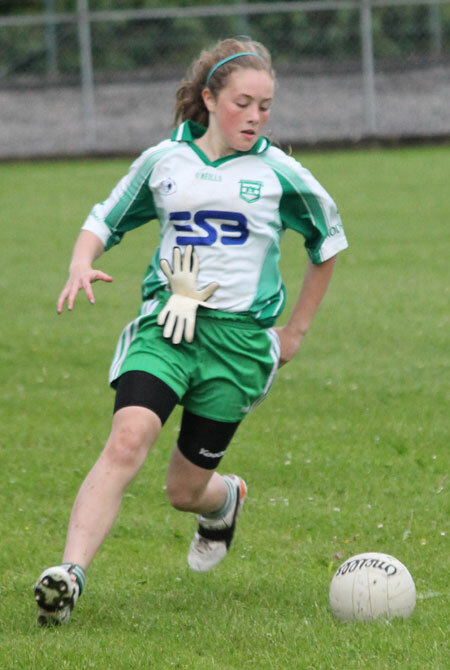 The Ballyshannon girls mounted on the pressure again and speedy corner forward Mary Flora Scott, having caused havoc for the Bundoran defence all evening, grabbed her second goal. 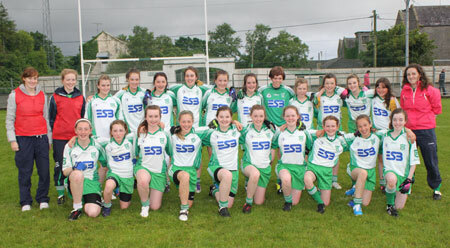 Ballyshannon led 4-01 to 2-01. 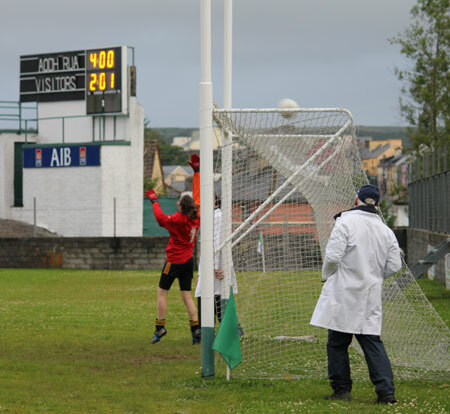 A few minutes later Bundoran scored a goal after a bit of a scrap in the Ballyshannon goal area. With almost 10 minutes remaining in the game and only two points between the teams it was always going to be a tense finale. 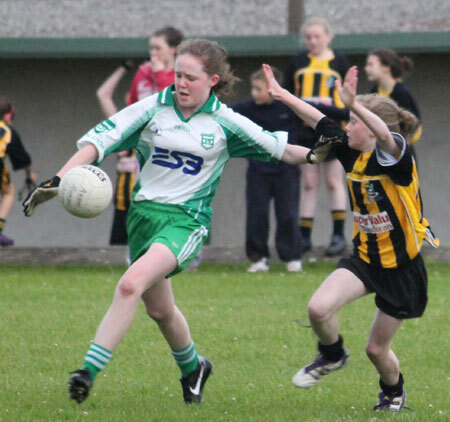 Laoise O'Connor switched to midfield and did a great job in working the ball away from the danger zone. 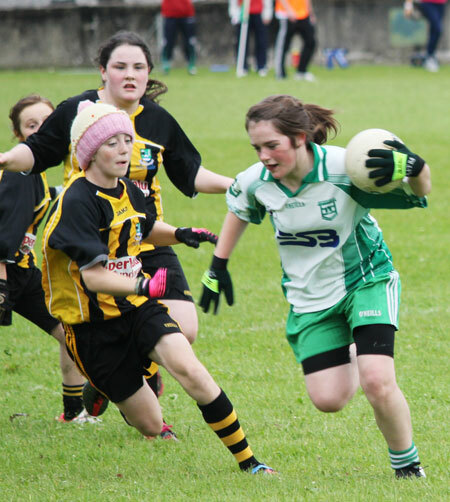 The defence stepped up to the task at hand and some great interceptions from Leona Cleary, Orlaith Gillespie, and Aoife Bromley kept the Ballyshannon girls ahead. 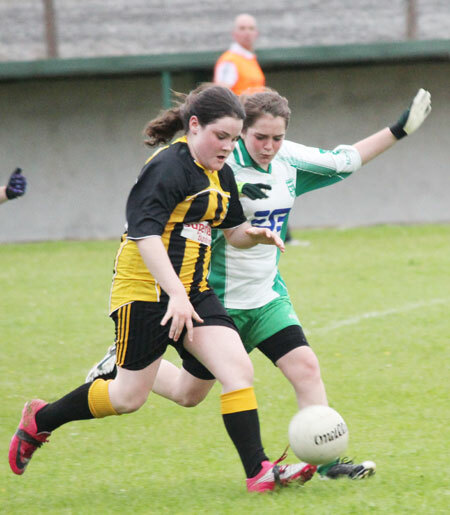 Rois�n Meehan entered the game and played her part in the final few minutes to ensure Aodh Ruadh would cling on to victory. 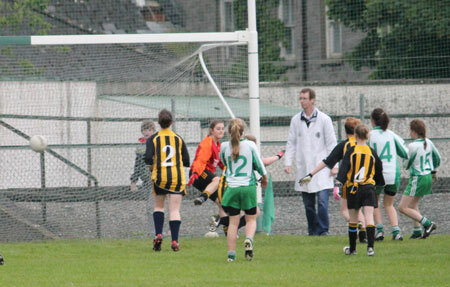 Another fine bit of goalkeeping from Kelsie Warren really saved the day, one can only assume that she was watching Paul Durcan closely at the weekend. A few last gasp attempts from Bundoran were hit wide much to the relief of the Ballyshannon crew. The Ernesiders moved the ball up the pitch five minutes into injury and there it was to remain until the final whistle was blown. The Ballyshannon players, management, and support could finally enjoy and embrace the occasion after a nervy hour and a half. 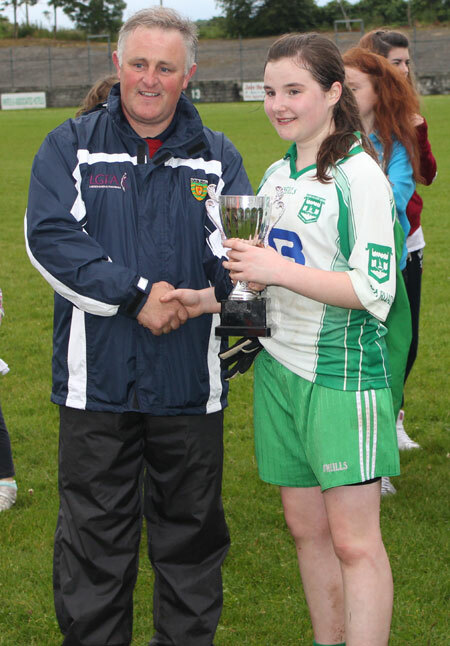 Terrence McShea, on behalf of the County Board, presented the cup to the winning Captain Orlaith Gillespie. 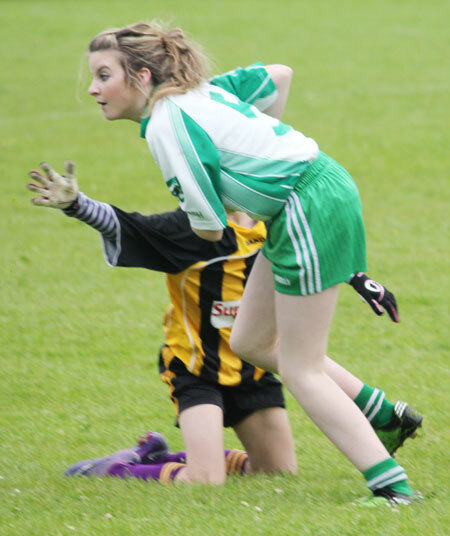 Orlaith thanked the referee, Bundoran players, management, her own team mates and all the support. Both teams had incredible support on the evening and this really was a great tribute to the girls. 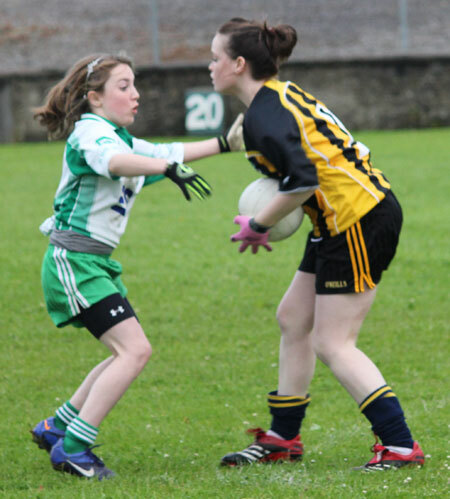 In his speech Terrance McShea pointed out that the future of ladies football in South Donegal looks bright and not one person in the ground would argue with that. For two teams who had a combined score of 14 goals and 22 points from the semi-finals, this game really showed their defensive abilities, with the sides limiting each-other to only five scores each. For all the Ballyshannon girls who played a part from the Four Masters game to now can be proud of their contribution to this victory. Aodh Ruadh Abu! 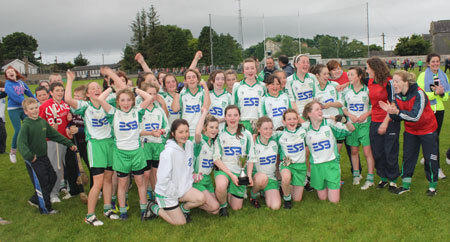 Kelsie Warren; Lorna Matthews, Aoife Bromley, Leona Cleary; Louise Mahon, Laoise O'Connor, Shelly Loughlin; Orlaith Gillespie, Meabh Rooney; �ine Gillespie, Aimee McCafferty, Dearbhaille O'Moore; Rebecca Gillespie, Tara Duffy, Mary-Flora Scott. 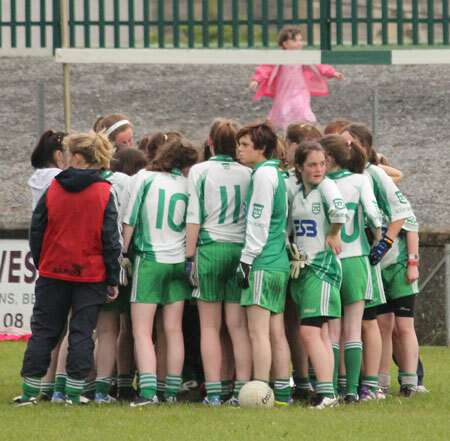 Substitutes: Roisin Meehan, Rebecca Duffy, Bronagh Kelly, Laoise Gallagher, Maura Travers, and Danielle Mc Nulty. Absent: Ellie Gallagher, Aoife McDevitt. Management: Donna Martin, Sarah Patton, and Fionnuala Gill.